Got a question or a complaint? We're here to help. Choose a category below and provide us with as much details as possible. We will then direct you to the right person in our customer service team who will aim to respond to your query within three working days. Login / Account If you're having problems logging in or you have a query about your account, please use this option to get in touch with us. Website If you're experiencing any technical difficulties or website errors, or you're having trouble completing a quote, please use this option to tell us about it. General enquiry If you have a query about a product or service, a request for further information or action, or you wish to provide feedback on our service - whether good or bad - please use this option. A complaint We're committed to providing the best possible service and to treating our customers fairly at all times. If you feel that we haven't met your expectations and there's been an unsatisfactory or unacceptable outcome, we'd like you to tell us. You can ask for help or give feedback by using the 'General enquiry' button, but if you want to make a complaint you should use this section. Dine membership If you have a query about claiming your FREE Dine membership, please use this option to get in touch with us. How do I claim my membership? You don't have to do anything to claim your Membership. Once you have made a Qualifying Purchase you will be sent a Reward Email setting out how you can activate your Membership. A Qualifying Purchase is where an eligible customer purchases car, home, van, bike or pet insurance through GoCompare during the Promotion Period. Only customers who have purchased car, home, van, bike or pet insurance though GoCompare during the Promotion Period are eligible. Is there a time limit to make a qualifying purchase? All Qualifying Purchases must be made within 1 month of the Membership Invitation Email to enable you to receive your Membership. When will I receive my membership? You will receive your Membership within 7 days of the purchase date. You will be sent a Reward Email containing a link to a page where you can activate your Membership. How many memberships can I claim? You can only claim one Membership per email address after the sale has been validated in accordance with the Terms and Conditions of this offer. Can I buy a product direct and still receive a membership? 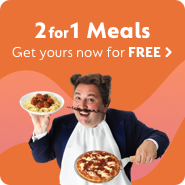 Customers will only be eligible to receive a Membership if the Qualifying Purchase is made through the website or through the website but completed via the telephone directly with the product provider, providing the customer has informed the provider of the GoCompare quote and valid reference number. I used a different email address when purchasing a product than the email address the reward email was sent to? In order to claim a Membership, you must use the same email address when making a Qualifying Purchase. If you use a different email address at any point then you will be unable to claim a Membership. Why is the membership not available on all products? We have offered the Membership for the purchase of car, home, van, bike or pet insurance only on our site. Can I back date an membership claim? Unfortunately not. The Membership offer is only valid from 20 April 2018. Is it free to collect my membership? There are no additional or administrative charges for you to receive your Membership, once you have made a Qualifying Purchase your Membership will be issued to you within 7 days. How will I receive my membership? After you have made a Qualifying Purchase, we will verify the sale, you will then receive a Reward Email with a link to activate your Membership. Please note this process could take up to 7 days. It's been 7 days and I haven't received my membership, where is it? If you haven't received your Membership and it's been 7 days since you made your Qualifying Purchase, email us at rewardteam@gocompare.com and they will investigate why you have not received your Membership. Didn't find the answer to your question? Get in touch. You've chosen to contact us about a complaint. If you have a query or wish to provide feedback on our service - whether good or bad - please use the ‘general enquiry’ option instead. Please provide as much information as possible but, for your own security, DON'T include any passwords, card or payment details. Please tell us what went wrong, how you have been affected and what your ideal outcome would be. Some details have not been completed or have been completed incorrectly.